Elderwood Academy produced my very attractive Spellbook box for my dice and pens, but they are teasing a new project that looks amazing. 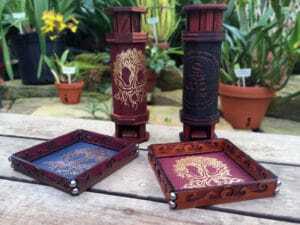 Codex and Scrolls dice tray and towers. Once you open the scroll case and deploy the tray, the scroll becomes a dice tower! 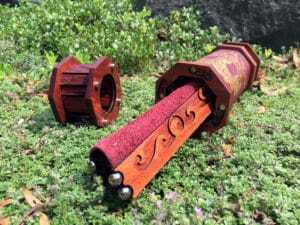 Elderwood Academy is getting market feedback for interest in this (potential) Kickstarter, so if you are interested contact Elderwood directly and let them know you want one!